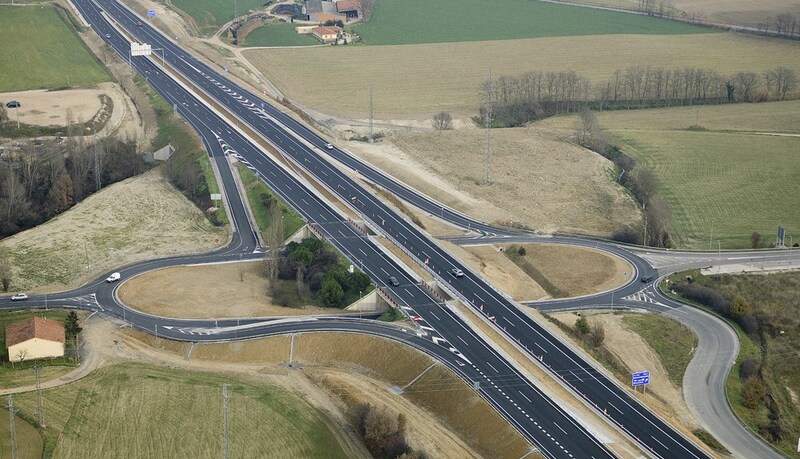 » Portfolio » Splitting off of the Transversal Axis C-25 Road, Gurb (Barcelona) Espinelves (Girona) Stretch. Spain. The total length of the backbone is of 16.3 km. 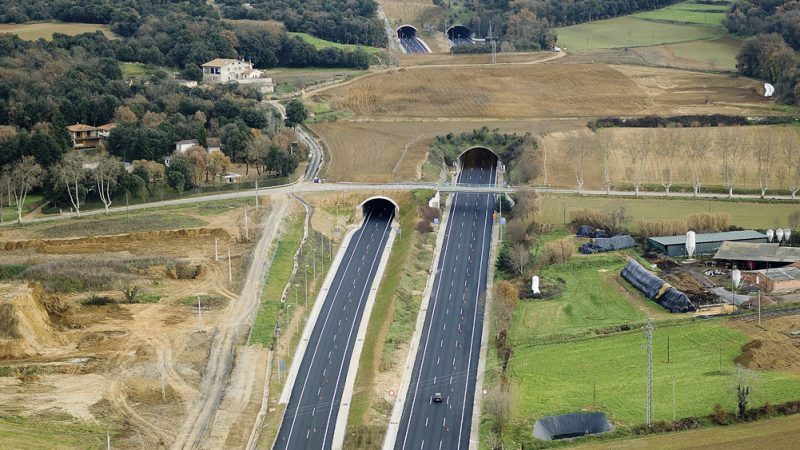 The speed for the project is of 100 km/h except in the Romegats tunnel where the speed is reduced to 80 km/h. The solutions are compatible with the traffic for both the C-25 as well as the intercepted transversal roads. • Structures and walls: include a total of 3 viaducts, 4 overpasses, of which two of them make use of the existing structure (adaptation of barriers), 2 wildlife passages and 9 underpasses. The structures of the bridge type underpasses shall be resolved as with conventional viaducts. In the portal or frame type underpasses these are prolongations of the existing structures. In the sub-stretch with the greatest number of links, numerous anchored walls have been planned to protect the abutments of the existing structures. • Tunnels: 3 tunnels have been planned which are a doubling up in all cases, generally parallel to the existing ones of the current C-25, excavated as a mine and in open pit (artificial tunnels). The total length of the planned tunnels is of 564.09 m (203.95 m as a mine; Romegats + 360.14 m artificial ones; Sant Julià I and II). Installations: SOS posts, cameras, road lighting, traffic lights and control ERU. Copisa has prepared the precast concrete parts storage area, executed the beams that house the bridge crane rails and provided a 200 kVA genset for operating the bridge crane. 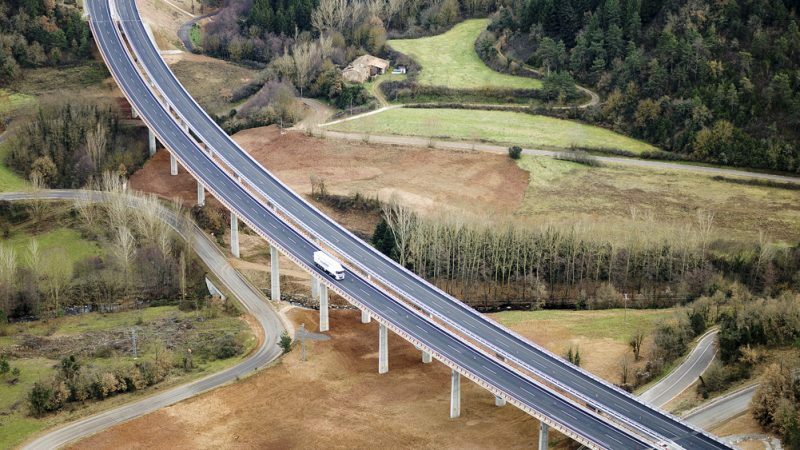 • Viaducts: Osormort viaduct (length of 500.10 m), La Font de la Riera viaduct (length of 120 m) and El Gurri viaduct (length of 60.29 m).